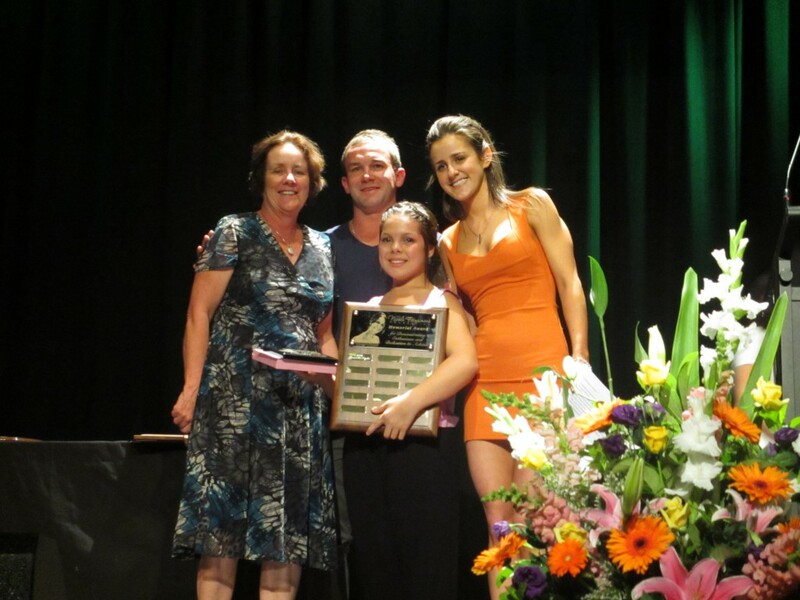 A very emotional yet touching night as Mum, Jamie & myself presented the first annual ‘Nicole Fitzsimons Foundation Award’ at Picton High School tonight. Congratulations to Samantha Taylor on winning this award for exhibiting the same dedication and passion to achieve in your dancing as what we all admired about Nicole so much. It was a long, hard day and we all missed our girl like crazy. But then having students come up to you in tears telling you how much Nicole & her story has touched them, it makes it all worth while and reminds me of why this Foundation is so important. tonight i received an award. this award was a memorial award for a young lady that had passed away about a month ago. Her name was Nicole Fitzsimons. She was a sport enthusiast and loved adventures. She died last month in a motorbike accident in Thailand. She wasn’t wearing protective gear, nor a helmet. She loved to dance. Tonight after doing a dance performance at my school assembly her family came on stage to present this award. They had just started it, since she only passed not long ago, so i was going to be the first name on her memorial plaque. I was told i was getting an award so as i stood side stage, with my friend and dance teacher, hearing the speech her family was giving and the strength they had just overwhelmed me. They said how much life she had and how happy she was, how much she smiled and one day it was all taken away and she would never get it back. The award was for an enthusiastic student, someone who smiles and tries hard, someone with energy and someone to pass on the happiness she had. i was shocked when i realized my teachers picked me. out of all those smiling faces, i was the one to accept this award. it was unreal. Its funny though because i was getting the award because of the enthusiasm and joy i have, when really i struggle to keep myself happy. i get sad a lot and it blow me away that i was getting this because people saw a happy, joyful person. That’s when i realized that, you only live once. as corny as it sounds, its so damn true. you have one life to live and one silly decision and one moment can change everything. you have so many moments in your life and one can take it all away. So im not writing this as a boast or a moment to shine for myself but a reminder. be careful, be safe because people care. I didn’t know this girl, yet i was so moved by her and her family that i was crying backstage. She must have been a wonderful person. So from now on, whenever im sad or unhappy or something isn’t going right i’ll think of her. How im here and i have this beautiful life but Nicole unfortunately doesn’t have hers. I’ll try and be happy for her because im going to only live this once. That’s not saying im going to wake up tomorrow and feel a million bucks and have sky rocketing self confidence, but i will try and be happy and remember that im lucky. People care and people love me. Everybody is loved and cared for. I know people probably won’t read this but i decided to write it anyway. So i hope this story has touched your heart. i hope you realize how easy a life can be so carelessly taken. Be safe, be careful, YOU are loved. 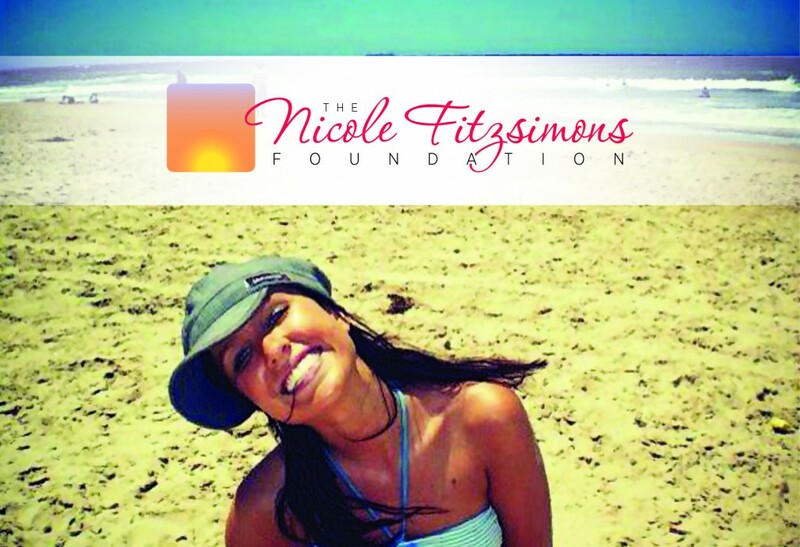 RIP Nicole Fitzsimons. rest easy. you and your family are in my thoughts and prayers. it was a pleasure meeting them and seeing their strength. something i wish i will have one day. i hope the best for them. i hope the foundation gets people to live their dreams.